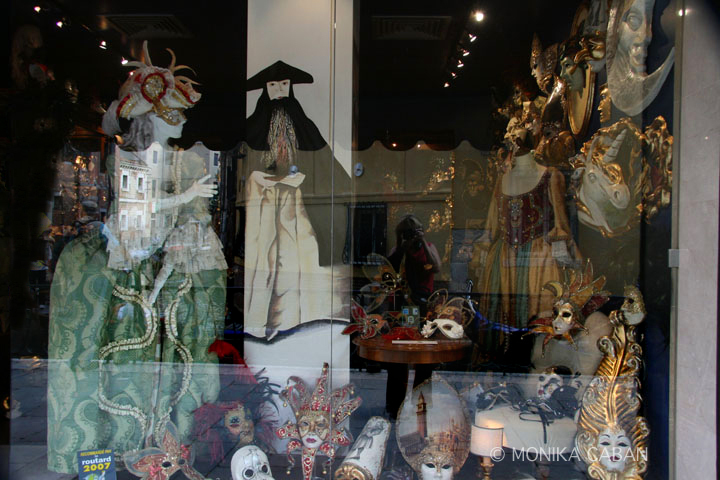 I wish to visit Venice in February, when the famous Carnevale di Venezia takes place. Another February is almost over and I still did not manage to make it to Venice for the carnival. I am consoling myself looking at some of the photos I took that include the carnival masks. 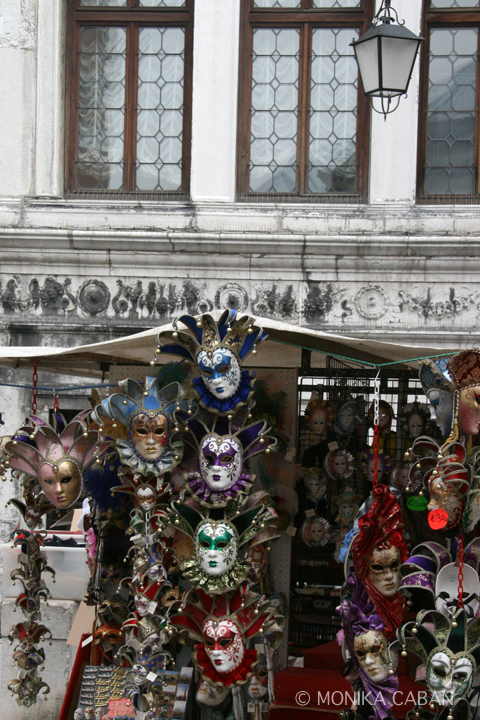 These masks are everywhere in Venice. 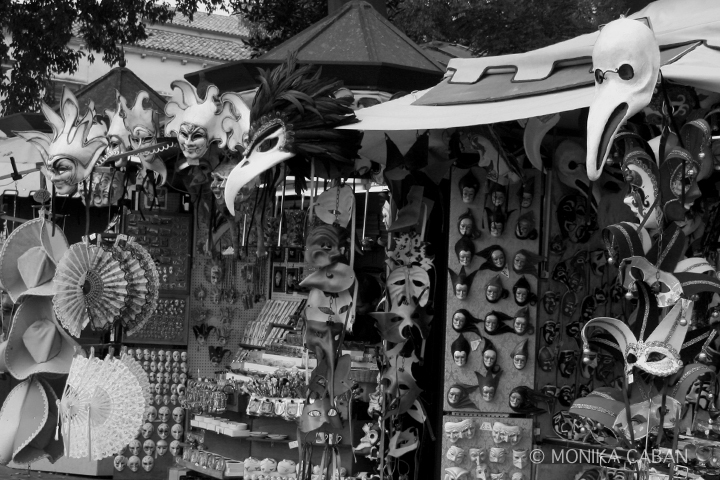 You can find unique and expensive masks in several stores and you can also buy cheap ones from the street vendors. What one would see in Venice during the Carnevale would be much more interesting than this I think.